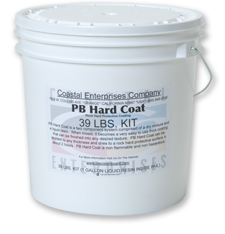 Coastal Enterprises has painstakingly researched a line HDU texture and coating products to perform specifically with Precision Board HDU. 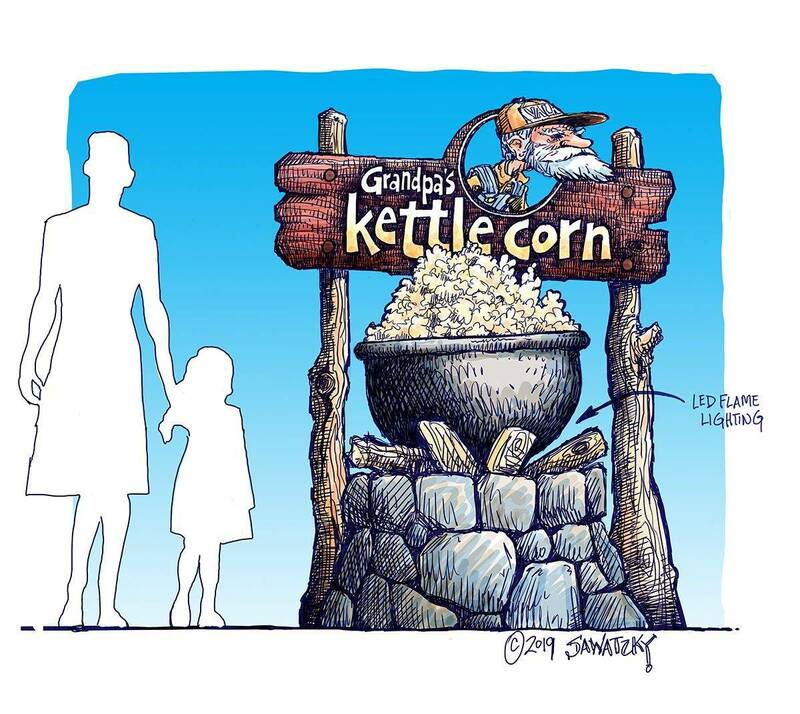 Each is made from the finest ingredients, with ease of application for the sign or model maker, as well as longevity for the final product in mind. TSF-45 HDU Texture Surface Finish is an extremely tough, flexible coating that has been compounded specifically for use in creating a variety of texture surfaces on Precision Board High Density Urethane. 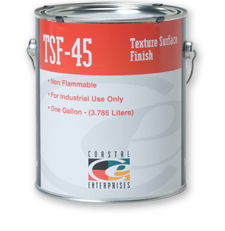 TSF-45 is a white exterior grade material that does not require surface priming prior to use. Use TSF-45 whenever creativity calls for a flexible, textured type finish. TSF-45 is white and filled with an unusual type of material that will allow it to be finished using the same type of methods for finishing cementitious type plaster products. It can be swirl finished, skip trowel finished, stucco finished, stipple finished, or many other interesting surface finishes such as wood grain. It will also make the surface of Precision Board HDU much tougher and stronger. TSF-45 adheres directly, without priming, to clean Precision Board HDU, concrete, wood, steel, glass, even galvanized metal. Works well for blending monument signs, to texture steel poles, and quickly adding wood grain into the background of signs with routed letters. Make sure surface is clean and free of any residual dust or grit from prior processes. Apply with a trowel, spatula, hopper gun or painters mitt directly from the container. Thinning is not recommended. Apply in two coats, making sure to wet out entire surface to be coated with first coat to ensure good adhesion. Apply 2nd coat in sufficient quantity to achieve desired effect. First coat must be tack free dry. Try to achieve desired effect as soon as possible to prevent material from becoming overworked. If material does become overworked, simply add a little more TSF-45 to surface and continue. PB Resin is a two-part modified clear epoxy resin that can be applied in its clear form, or mixed with lettering enamels to quickly and easily create a high gloss, smooth texture, color finish. PB Resin HDU Epoxy will create an ultra smooth texture on Precision Board HDU, any density, with no priming and no sanding. PB Resin can also be applied to polystyrene, wood, stone, steel, aluminum, and almost any other substrate. A smooth, opaque finish can usually be achieved on flat surfaces in one coat. No priming, no sanding! Extremely rough areas may need two coats. Mix PB Resin part A and part B (50/50) by volume thoroughly for at least two minutes. 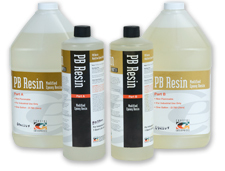 PB Resin can be tinted to any color using standard oil based paints or lettering enamels. Use approximately 1 tsp. of color to 8 oz of PB resin. Test color blockout effectiveness by pouring small amount on newsprint. Only use enough color to block printing. Apply resin directly from mixing cup or from a squeeze bottle applicator and allow to allow to completely flow out. Flow can be assisted with a stir stick, etc. PB Resin’s surface tension will keep it from going over the edge if you are careful spreading it out. Allow complete cure before applying a second coat or lettering enamels (approximately 24 hrs.). Do not handle for at least 4 hr. Pot life (working time for 100 grams) is about 60 minutes at 75°-80°F. More quanity and/or more temperature results in shorter pot life. Complete cure time: approximately 24 hr.